This weekend we have open houses featured in Jacksonville Beach, St Johns, and Middleburg. Please come by and tour these beautiful homes this weekend. We have wonderful agents available to assist you and answer any questions you may have. 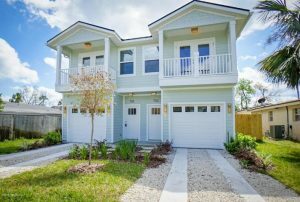 Hop on your beach cruiser and check out this brand new build townhouse in Jax Beach! The bright & open floorplan combined with modern fixtures sets the stage for easy entertaining or an inviting coastal retreat only 6 blocks from the ocean! Rich wood cabinets, stainless steel appliances, and granite countertops trim the kitchen as soothing wood-look tile flows from the front door all the way back to the sliding glass door. Upstairs you’ll find the owner’s suite with french doors leading onto its private balcony, on suite owner’s bath, laundry space, as well as 2 other bedrooms plus an office! Your outdoor living space is tucked into a privacy fence and sized to allow you to spend more time at the beach rather than working in your yard! A last chance to get the Highly Desirable Ashberry floor plan built by Mattamy Homes in the RESERVE AT GREENBRIAR. No CDD FEES , low HOA and A-rated schools is just the start of what makes this fabulous preserve lot home a MUST HAVE. On the 1st floor is a gourmet kitchen with high-end appliances leading to the huge living room and separate dining room. Or you can step through French Doors to an extended covered lanai great for entertaining while enjoying the view of the large preserve forest. Upstairs is the master retreat with his and her walk-in closets, a huge tray ceiling and plenty of space. Plenty of space can also be found in the other 3 bedrooms. 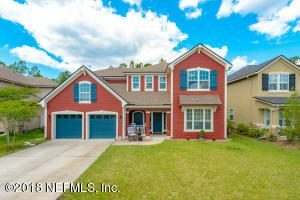 This home also includes 2 separate AC units, a large 3 car tandem garage, a downstairs office, and a tank less gas hot water heater. 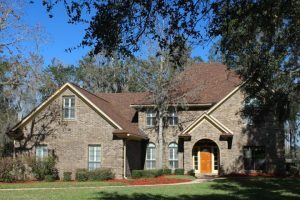 DOCTORS LAKE WATERFRONT, Navigable to the St Johns River & Atlantic Ocean. APPOINTMENTS NECESSARY. 9a to 6:30p. 2 hr. Kitchen is a Chef’s Delight featuring Double Ovens (1 Convection), Jenn Air Downdraft Cooktop in Island, Granite Counters & Extra Cabinets. Wood burning fireplace has brick facing to the Vaulted Ceiling. Emergency Generator uses Propane Gas and features an Automatic Transfer for convenience. Crown Moulding & Tall Baseboards provides Elegance. Two Stairways provide Convenient Access from one level to the other. Double French Doors to Patio from Family Rm & Breakfast Area. Two HVAC units to keep you Comfortable year round. Buyer to confirm access height under U.S. 17 Bridge from Doctors Lake to St Johns River. All Dimensions are Approximate and should be VERIFIED by BUY.